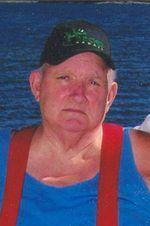 Glen Ray Hinshaw of Cuba, Missouri was born to the union of Clifford A. and Katherine M. (Potter) Hinshaw on May 1, 1937 in Hindsville, Arkansas and left from this life on Thursday, July 26, 2007 in St. Louis, Missouri at the age of 70 years, 2 months and 25 days. Glen was united marriage to Ruth L. Smith on July 30, 1974 in Miami, Oklahoma. Glen was a retired Truck Driver for Trumble Asphalt Company, Hazelwood, Missouri. He enjoyed traveling, camping, his many trips to Branson, Missouri, but most of all he enjoyed spending time with his wife and family. Glen is preceded in death by his parents Clifford A. Hinshaw and Katherine M. (Potter) Hinshaw, one brother Jimmy Hinshaw. Those who are left to cherish his memory and to continue his legacy are his wife Ruth L. Hinshaw; two daughters Debbie and husband Gary Hendricks of St. Louis, Missouri, Sheri and husband Jerry Redus of Pacific, Missouri; four brothers Arlis and Olden Metcalf, Troy Lee and Eugene E. Hinshaw; three sisters Marcella Morgan, Mary Ellen Pitchford and Shirley Kimbrell; two sister-in-laws Evelyn and husband Wayne Sanders and Elizabeth "Libby" Priest both of Hazelwood, Missouri; three grandchildren and seven great-grandchildren; nieces, nephews and host of other relatives and friends. Graveside service Monday, July 30, 2007 11:00 a.m. at Oak Grove Cemetery 7800 St. Charles Rock Road, St. Louis, Missouri with Rev. Gary Hendricks, officiating. The Britton Funeral Home of Cuba, Missouri is honored to be serving the Hinshaw family. Obituary of Glen Ray Hinshaw. 1940 census, War Eagle Township, Madison County, Arkansas; roll T627-153, ED 44-19, page 7B, line #46, household #134.